Although I've never been to France I know that the Eiffel Tower doesn't sit up on a hill by itself... but for my artist sake it does to me!! 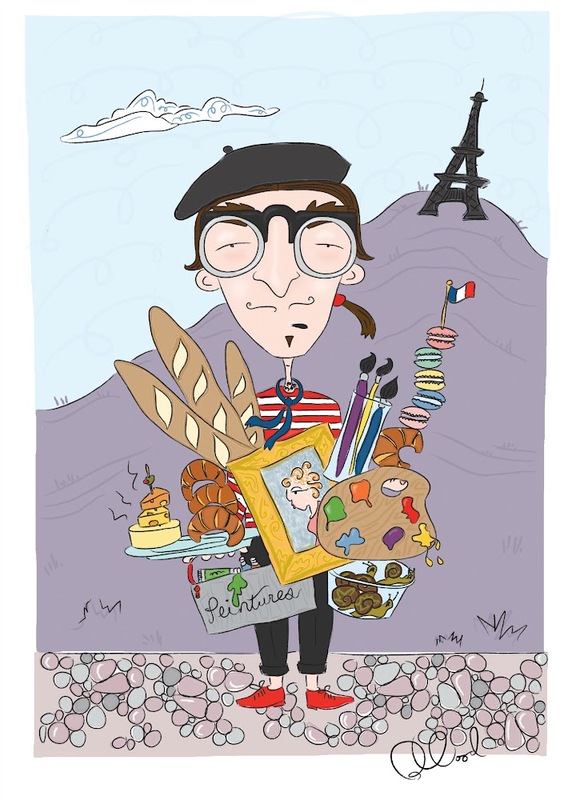 Fantine loves his stinky cheese, baked pastries, and of course the infamous escargot! He loves to paint voluptuous women and is inspired by the Eiffel Tower daily. Check out the rest of his friends here!! Lovely illustration! :) I like your style!!! !